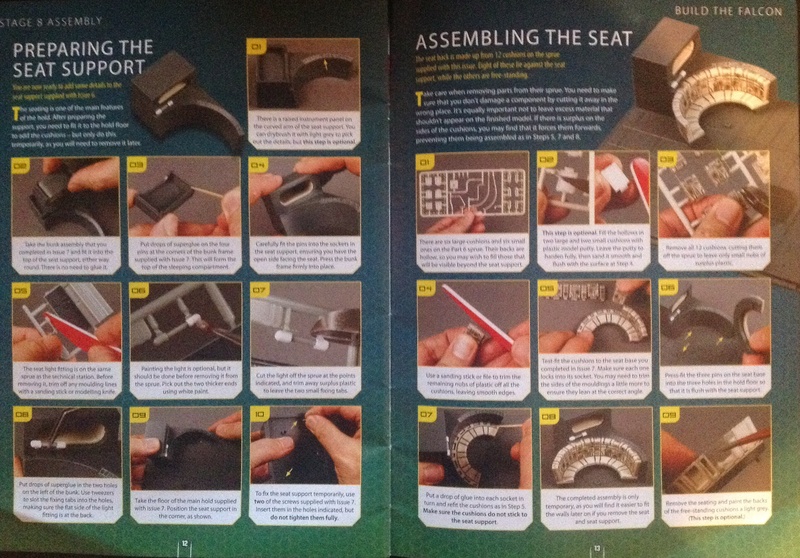 Parts featured with this issue are the Technical Station, Main Hold Walls and more seating parts. 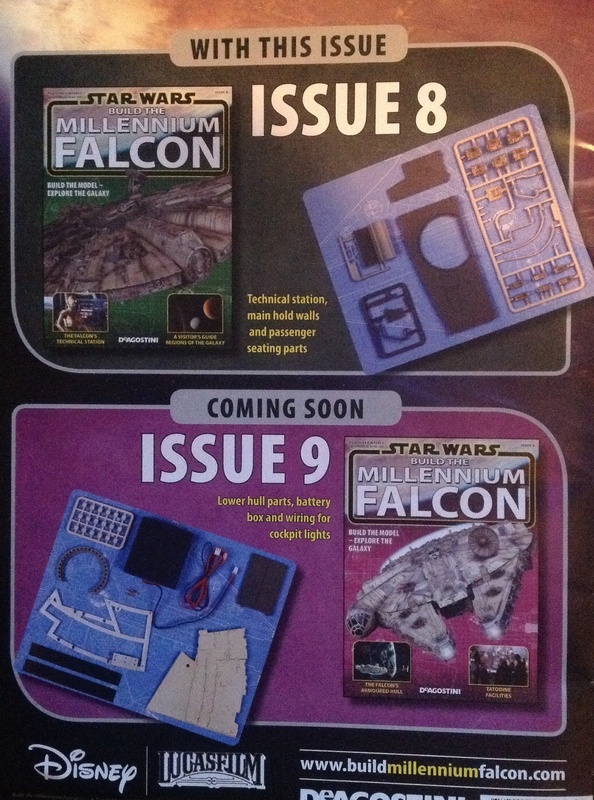 As with the last issue, issue 8 continues with the Corellian YT Series legacy. 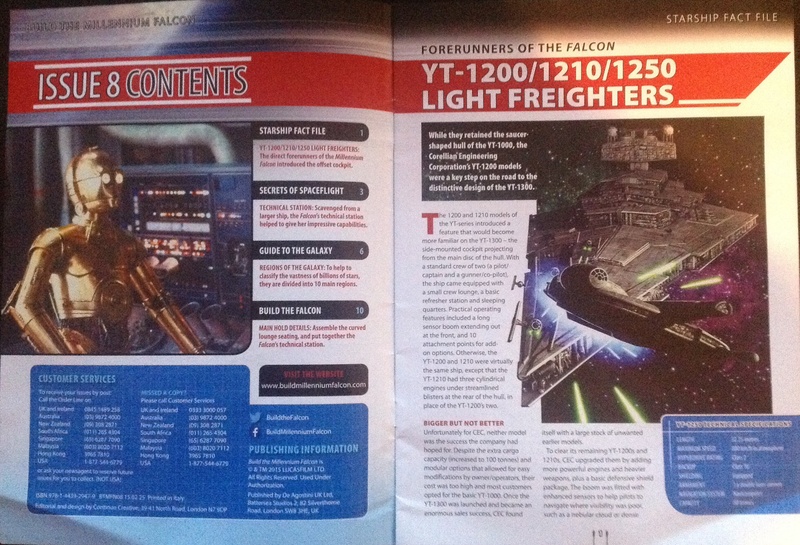 Th eYT1200, YT1210 and YT1250 are featured this week. 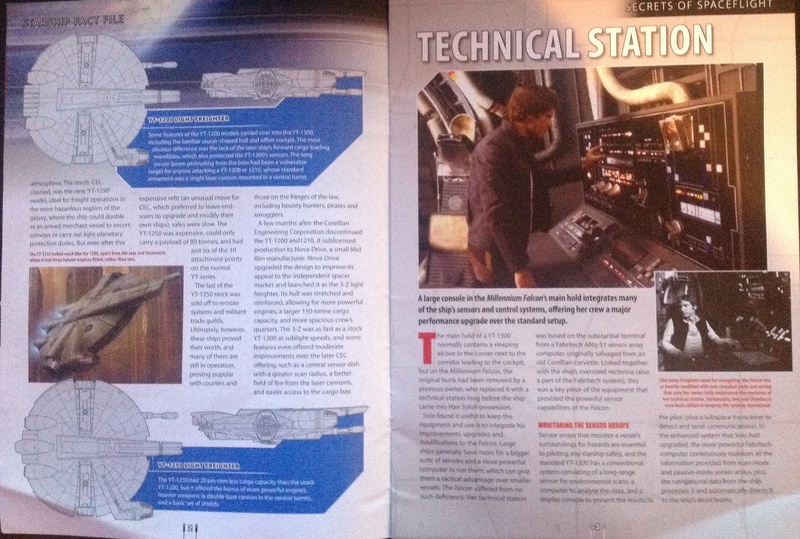 The technical station is the part of the Falcon in this weeks magazine although we’ve has the tech station beautifully detailed in a previous magazine, the main hold is also detailed in this issue. 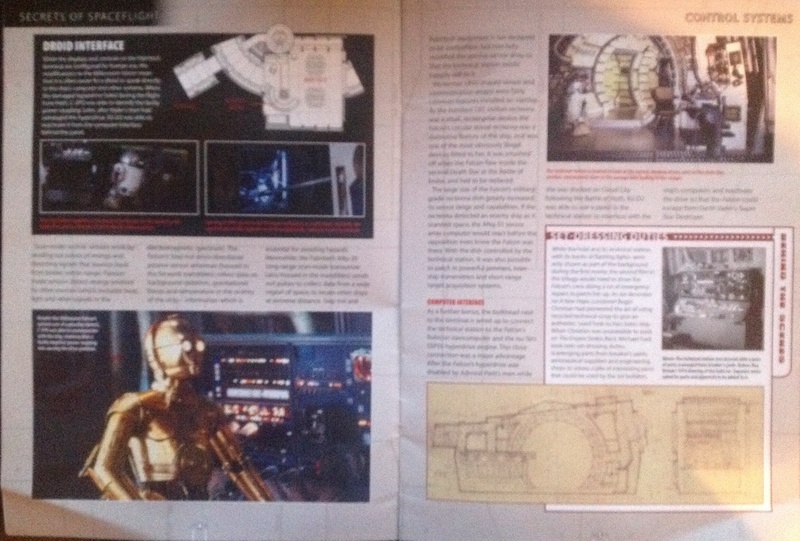 The blueprint showing the Droid Interface stations is a nice touch, although i can believe that there are only two in the passenger compartment, i can’t help wondering if there are more. 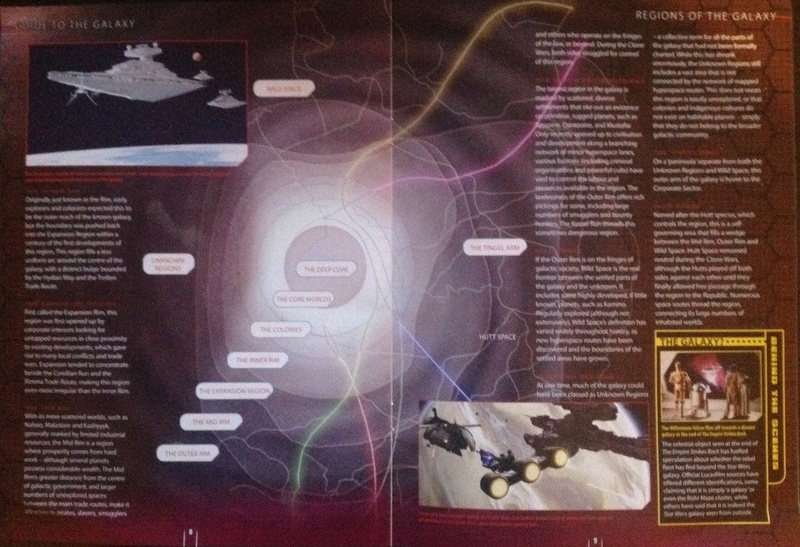 This weeks Exploration of the galaxy is on the regions of the galaxy. 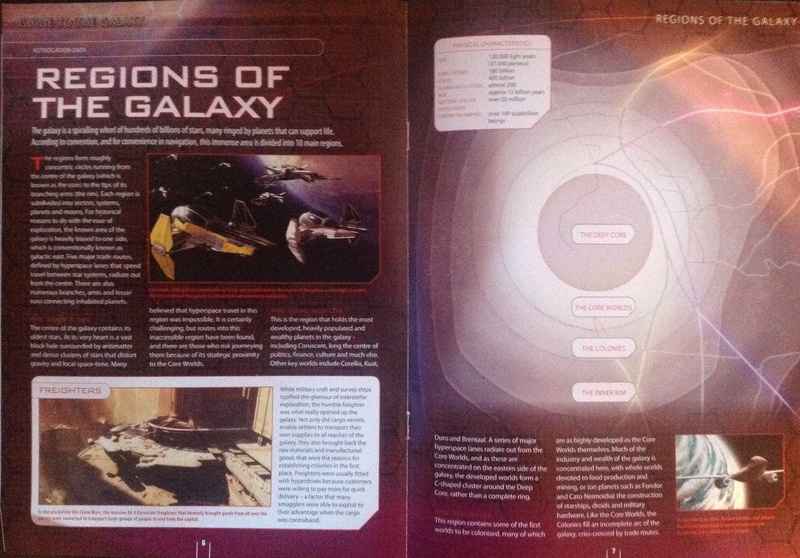 Hopefully the partwork will give us more information on trade and smuggling routes. 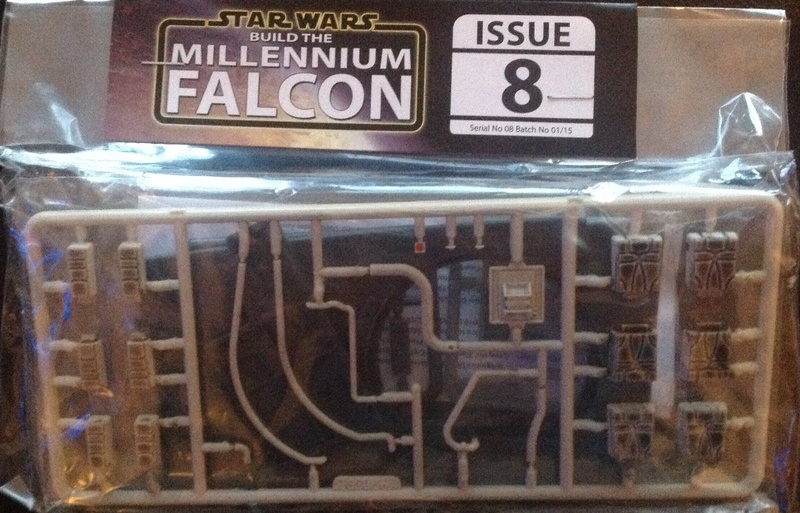 I must confess that as the partwork progresses i’m losing confidence in my ability to do this rather excitingly complicated replica justice as i have pretty poor modelling skills and very little patience. That’s it for another 4 weeks. Overall i’m impressed with what DeAgostini are doing here. 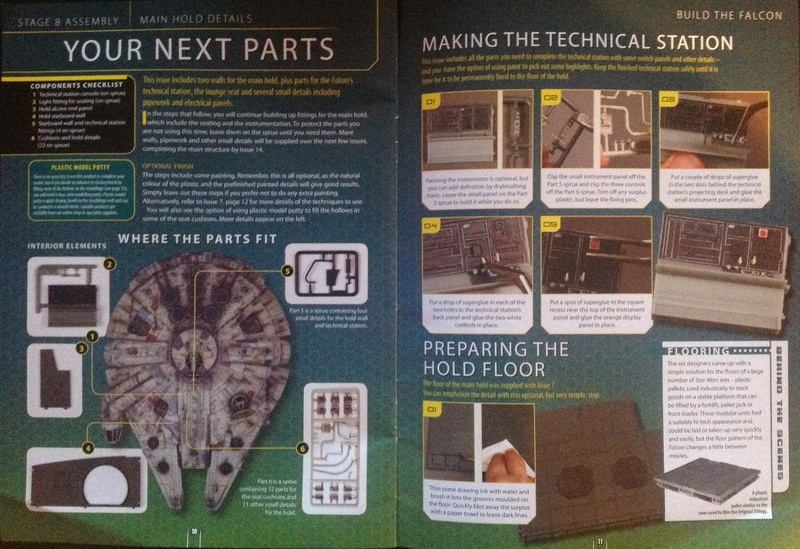 The magazine does appear to be focused on aspects of the Star Wars Galaxy linked to the Millennium Falcon and hopefully the kitbashed parts are pleasing the more experienced model makers, although I do hope that DeAgostini start posting the parts on the card again. 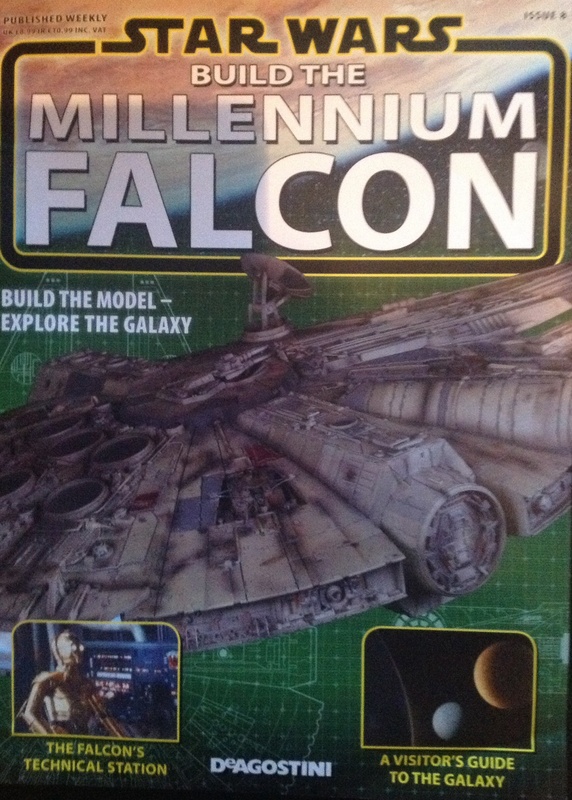 This entry was posted in DeAgostini Build The Millennium Falcon and tagged DeAgostini Build The Millennium Falcon, Millenium Falcon, Millennium Falcon, Star Wars. Bookmark the permalink.